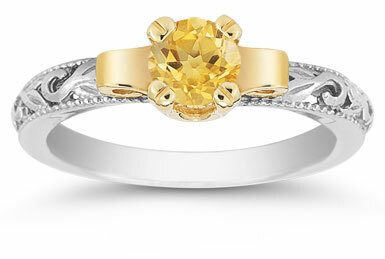 Even the sunniest day isn't as bright as this beautiful ring from Apples of Gold jewelry collection. A blazing citrine gemstone is set high on this two-tone ring, surrounded with a yellow gold mounting to increase its dazzle. The white gold band offers a shining contrast to the stone. It features elaborate scrollwork that brings art deco style to the band. Each edge is lined with a thin beading and then polished to a vivid shine, making this ring a superb piece from Apples of Gold. 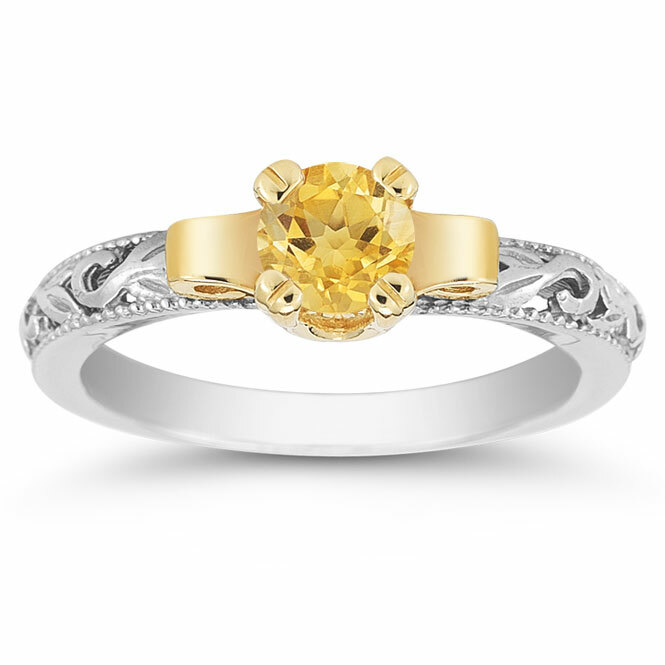 We guarantee our Art Deco Citrine Engagement Ring, 1/2 Carat to be high quality, authentic jewelry, as described above.